AdGuard is the world's first standalone ad blocker for Mac OS X! 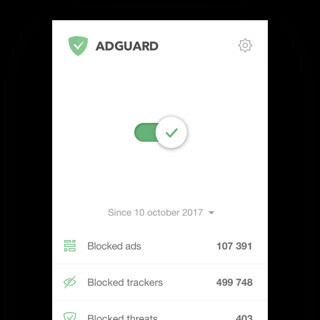 AdGuard for Mac is the world's first standalone ad blocker designed specifically with macOS in mind. It offers much more than any browser extension ever could: blocks all kinds of ads in all browsers and even in other apps, protecting your privacy along the way. Get rid of web ads, trackers and popups in all your browsers at once! Pop up Blocker Pro is an aggressive pop-up blocker. Powerful user-friendly program that filters and blocks commercial banners.